Just hearing cyberknife and knowing it was for a tumor behind my eye was beyond anything I could imagine. Then I was told it would take 3-4 hours and I would be awake the entire time. This was not an appointment I was looking forward to! I have to tell you it sounds worse than it is. It actually doesn’t even involve a knife. It’s a robotic radiosurgery system that delivers beams of high dose radiation to tumors with extreme accuracy. No cutting and no pain involved. I was fitted for a mask the week before surgery. For me, this was the only uncomfortable thing about the surgery. The mask is screwed into the table and it’s tight. Here’s a picture of my mask. I see a Halloween costume in T.J.’s future, it’s scary! They gave me an Ativan before the surgery. I was worried about being awake during this. If they had said we give you ativan before we start I would have had no worries. I remember my mask being attached and getting up. That’s it. I won’t have a new brain MRI until the end of October. I’ll update you when I get results. Waiting is always the hardest. I just try not to think about it and go on with life. This is a picture of the Cyberknife System. The robotic arm moves to hit targeted areas. Now for the aftermath. I vomited for 2 weeks and lost 15 lbs. I couldn’t eat. Everything I tried to eat tasted so salty and I would get sick to my stomach instantly. The medical term for this is Dysgeusia. I ate chicken nuggets for two weeks. Now I’m eating fish, rice, cantaloupe, chicken nuggets, cheese on unsalted crackers and cheesecake. My Javiee is still making me juices and I’m keeping them down. I do miss his cooking! Chocolate and red meat are the worst right now. I never thought I’d see the day that I turn down chocolate! I still have days when I’m just completely exhausted. On those days I celebrate going to the grocery store! On the bright side I’m having more good days than bad now! That’s really something to celebrate! I have to end with a picture of T.J. holding my grandson Jax. I think this is the first time he held him since the day he was born. He was completely uninterested in holding him during the slobber and spit up days. I honestly didn’t think he’d hold him until he was out of diapers. I was so proud of him! Get out and make some memories! One day after completing 15 rounds of whole brain radiation I went in for my Oophorectomy. It was an out patient surgery. My surgeon told me the recovery would be easy. I shouldn’t be in pain and I should feel ok the next day. Just take it easy and no heavy lifting. Here’s what he didn’t tell me. Don’t lay down after surgery. I went home and went to bed. I woke up the next morning in horrible pain. Not abdominal pain, it was shoulder pain. The gas that had been used to expand my abdomen during surgery had set up in my shoulder. I should have slept sitting up in a recliner and I would have felt fine the day after surgery. I wasn’t told that and I took pain meds and cried with shoulder pain for about five days. It was bad! If this surgery is in your future remember that and you should have a fast recovery. I have four tiny scars from the incisions and they healed within two weeks. That’s a picture of a tumor that was in my ovary. There was one in each ovary. This is the largest one (2.0 cm). How did a tumor this size not show on my scans? The good news here is that we had it tested and it’s still er/pr+. That gives me hope that the new medication I’m on can work on my bones and lung. I go in for new scans next month to see if Faslodex and Ibrance are working. I’m a little concerned because my tumor marker keeps getting higher every month. Then in October I will have a new MRI to see what all the brain radiation has accomplished. Until then I’m staying positive and living every good day to the fullest. I’m also sleeping a lot. I don’t know if it’s still exhaustion from radiation or my new treatment plan but there are days when I just don’t want to get out of bed. I want to send a big thank you to everyone that has messaged, called and came by to share their love. I even received care packages from Australia (I ♥️You Emma!) and from Arizona (I ❤️ You Sally!) You all make my world brighter! I have survived 15 rounds of whole brain radiation. Initially the hardest part was driving to Asheville and back everyday for a treatment that lasts less than 10 minutes. I videoed a session for those of you that may one day have to go through this. It was a painless procedure. My mask was latched to the table, everyone left the room and the radiation took a few minutes. There was a smell that came with the radiation. It reminded me of Clorox. The first 13 rounds were fairly easy on me. I was dizzy afterwards and needed a nap. I was surprised because I was expecting worse. It hit me at round 14. My forehead and my ears burnt so bad. After round 15 I couldn’t hear and my ears smelt horrible. I was told to take Mussinex to relieve pressure behind my ears. I did that for a few days and didn’t notice a difference. I ended up putting peroxide in my ears for a few days and my hearing is back! I must tell you my oncologist advised against using peroxide. It worked for me. My eyesight also got bad with the last rounds of radiation. I couldn’t read anything! I’m using readers now and I feel them getting stronger everyday. It’s been two weeks since my last round of radiation and the fatigue is extreme. I’m so tired. I just keep reminding myself that it’s over! I have had a hard month!! The day after my last radiation appointment I had my ovaries removed. I’ll do a post on that soon. I’m scheduled for the gamma knife and a new MRI in August. Until then I’m going to get out and spend some time with my guys. I’ll end with some pictures. This is my radiation mask. This is one of the Mets to my scalp. Radiation healed all of them. Let’s hope it’s working as well on the inside! This is a harsh one, but I share my truth with you guys. My forehead after 15 rounds of WBR. Now for one that shows me on the mend! It’s a wig! The Cantin Ketogenic Diet…How I went from 70 units of insulin a day to 0! I will start with a link to a previous post I did last summer when I ended up in the hospital with type 1 treatment induced diabetes. Treatment Induced Diabetes-The price I pay for my dances with Ned. I read the book in one night. All the research I had done matched everything I was reading in this book. It was impressive and gave me the push I needed to give it a try. 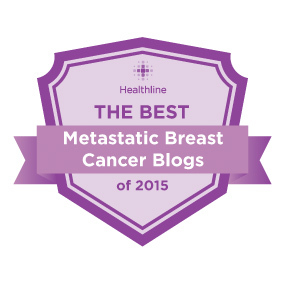 Living with metastatic breast cancer has made me a skeptic when it comes to simple cures. I wasn’t completely sold on the idea of a diet allowing me to be insulin free as a type 1 diabetic. I found the author, Elaine Cantin, on Facebook and accumulated a wealth of information from her and her past posts. I went shopping for “yes” foods and supplements from her book and began a three day fast. I love food! I was concerned about my ability to not eat for three days. My Javiee was afraid he may not make it out alive! 😀 It was surprisingly easy! My blood glucose was better than it had ever been. I was extatic with the results but figured I would still need insulin once I started eating again. Wrong! I followed Elaine’s food recommendations and 15 days later I am still off insulin! Not only am I off insulin, my blood glucose has never been better! I never saw 90 when I was on insulin! The change in the way I feel is amazing! My energy level is high and my pain pill count is at 1 a day. That’s down from 5! I am amazed and so glad that I found this book! If your having issues with diabetes you owe it to yourself to read this book and give it a try! My last scan showed active cancer in my hip. Scary and not what I wanted to hear! I haven’t had “active” cancer in 2 years. 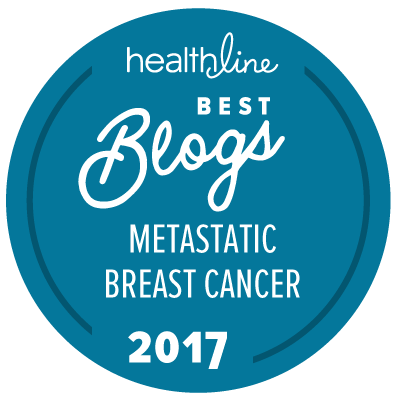 I still consider them good scans because the cancer hasn’t spread anywhere else ( this is life with metastatic cancer). Our plan is to stay on the treatment I’m on (Zoladex and Femara) and do new scans in 3 months. With those results we will make a decision on treatment. It will be interesting to see the new scans and what kind of impact my diet has on them. I will update you with the results. Of course I have to end with pictures! We’ve been living life and making memories! I am so blessed to be feeling good! Snow Day with my Javiee! You don’t work in North Carolina when it snows! At The Panther Stadium with my Javiee and T.J. T.J. is bigger than my Javiee now! My precious little Jax! He will be 1 next month! I love being a Glamma! Because I’m not a Grandma, I’m a Glamma! Thank you all for your prayers and messages! You make my heart smile! I have always loved October. My little T.J. was born in October. I was born in October! I love carving pumpkins and doing all the Halloween decorating with my little guy. Now here’s a new day to add to my list of days to remember in October. The entire month of October is painted pink for breast cancer awareness and one day is dedicated to the disease that will one day end my life. Yes, one day! I figure I should be grateful and recognize today. 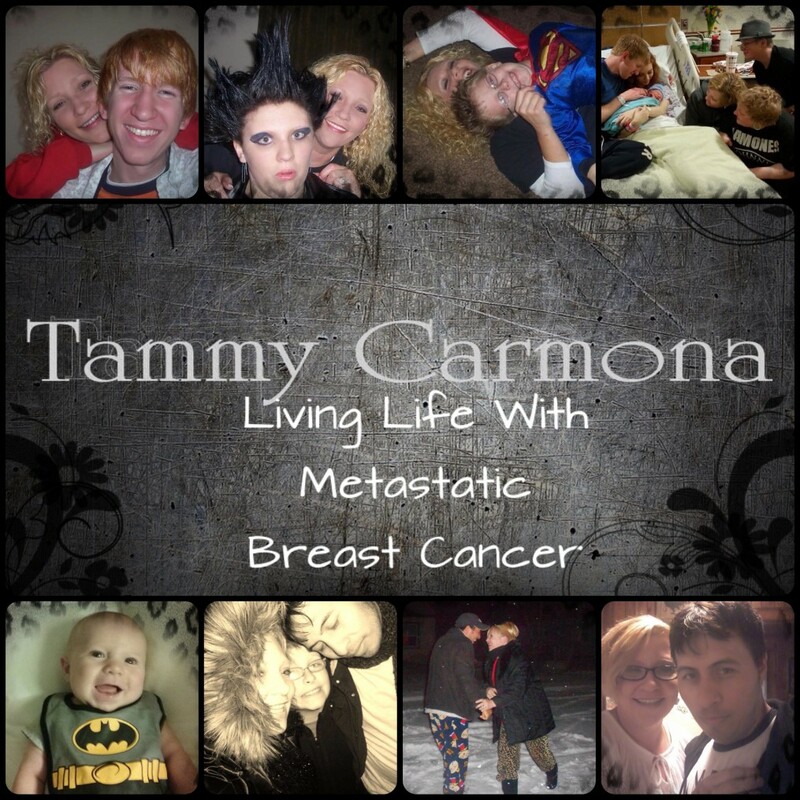 So here’s to National Metastatic Breast Cancer Awareness Day. 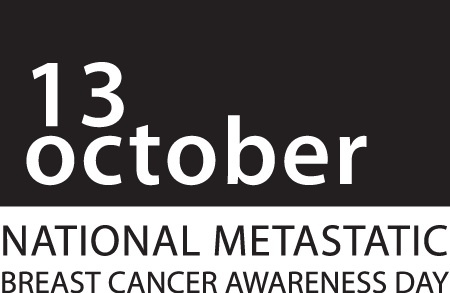 May I be one of the lucky ones that lives with this disease for many, many years! I have my appointment for my new PET scan! It will be this Friday at 9 am. My doctor is going to see me the same day, so no waiting for the results. Good for me because waiting is the hardest part! It’s a big day for me. I will know if this past two months of chemo has helped. If this new diet my Javiee has me on has helped. I’m praying it has. I really don’t want to spend this summer going thru more rounds of chemo! It’s hard to feel so bad for weeks at a time! The funny thing is that once I recover from chemo I feel fine! I don’t feel sick! The chemo is what makes me feel sick! Right now I feel like my happy self. I am just going to enjoy this week and not worry about what Friday holds. 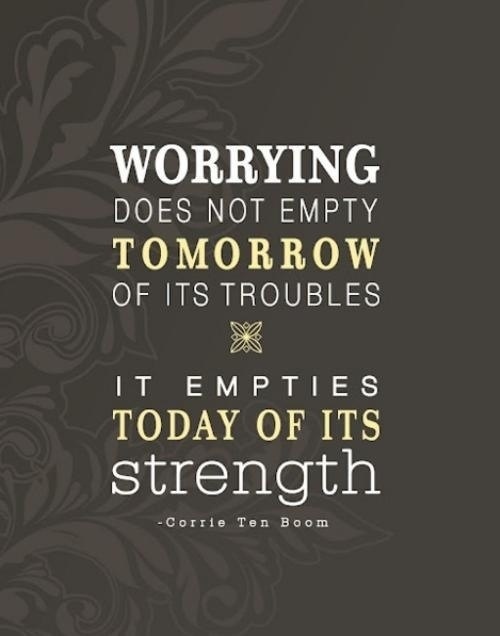 What does worrying help anyway?? Just a little note about my diet…I have not had sugar or red meat in 3 months! Seriously…3 months!! Oh how I miss my chocolate!! Lucky for me my Javiee’s a good cook, he can make anything taste good! I get my whole grain cereal (unprocessed) with hemp milk or unsweetened almond milk in the morning. He makes sure I have fresh veggie soup everyday for lunch. He loads me up on cabbage, broccoli, cauliflower, fish, organic chicken, garlic, sea salt and lets not forget the juices!! Carrot and beet juice everyday! Other than the juices I’m really only drinking water. My Javiee also found a way to make it more healthy and more tasty…lol. We use our ninja blender to make fresh pineapple, strawberry, blackberry and blueberry water. With a packet of stevia, it’s yummy! Stevia is the only sweetener in our house now…no more Splenda for us. Changing the way I eat was extremely hard in the beginning. Now I guess I’m just used to it. If you really look at what’s in the food we eat, it’s a lot easier not to eat it! You would think between chemo and the new diet that I would be a skinny minnie by now! No, I have only lost 4 pounds since this whole ordeal started (2 pounds would have to be the ta ta’s..lol) That’s a good thing! It means I’m being well taken care of! I think I have recovered from round 4 of chemo! Well my blood work was good and round 4 of chemo went as scheduled. My cousins Laura and Betty from Texas came up to be my chemo buddies! Yay! Round 4 was hard, so I didn’t get to spend as much time with them as I wanted, but it was so good to see them! Note the little red box in my hand. It was a celebration gift from the nurses in the chemo room. Celebrating my last scheduled chemo! It was nice, yes, but bittersweet for me. I really didn’t feel like celebrating. The truth is that I’m stage 4, so to celebrate my last chemo seems a little ridiculous to me. I know there will be a time, be it sooner or later, when I will be in that chemo room again. Lets pray for later! I had the nuelasta and the xgeva shot both this round. That made my recovery so much harder! The nuelasta shot works on my bone marrow to bring my white count back up to where it should be. It causes me to have horrible bone pain! The xgeva shot strengthens my bones, so it also causes bone pain. The two together cause unbearable pain, even with pain meds. I was so tired this round! It was an unexplainable tired. I had to make myself get up to even go to the bathroom! Add hot flashes to the mix and all I wanted to do was cry! Today I’m feeling a little more like myself! I see the light at the end of the tunnel of chemo round 4! It was a hard one! My genetic testing results are in. I do not carry the BRAC 1 or BRAC 2 gene. That’s good news for my family, but it leaves my cancer unexplainable. I am also scheduled for new scans on the 10th. I will get the results the following week. My future treatment plans will depend on the results from the scan. Praying for good scans!! A little good news, my tumor markers were at 69 and after two rounds of chemo they were down to 48. I’m happy with that because I’ve had two more rounds of chemo since then! For now I’m thankful to be feeling better! I’m thankful for my family and my friends for all the support they’ve given me! I’m thankful my mama was here to help me thru this week! I’m thankful I got to see my cousins! I’m thankful to have Kristen here to help out! I’m thankful for all the hugs my little T.J. has given me this week! I’m thankful to be able to spend my Javiee’s birthday with him! Happy Birthday Javiee! You are truly one in a million! I am so lucky to have you in my life! I love you with every ounce of my being! Below is a song for my Javiee….it reminds me so much of him! ! Happy Birthday My Love! !